A dip in demand, shortages of vocational trucks and higher prices for the average Class 8 truck marked the used truck market in June, experts said. He noted that American Trucking Associations’ for-hire Truck Tonnage Index in June was down month-over-month both seasonally adjusted, 0.4%, and non-seasonally adjusted, 1.1%. Tam added that with earnings season at hand for motor carriers, Wall Street analysts are posing questions about whether freight growth has peaked. 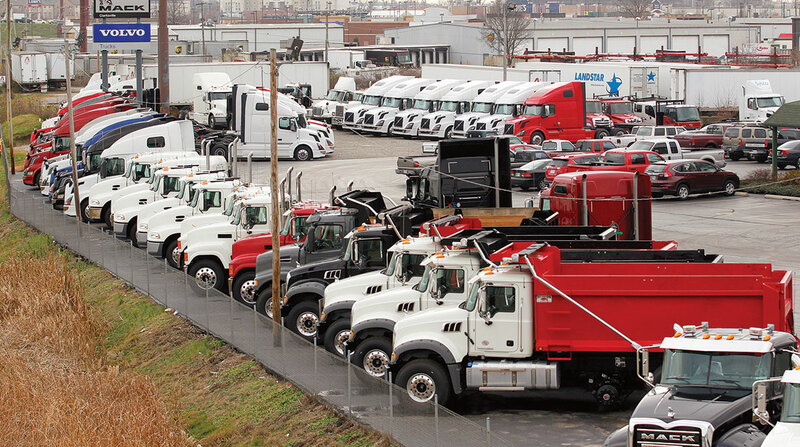 Sales of used trucks in June slipped to 22,900 compared with 23,100 a year earlier, according to ACT, which surveys dealers, wholesalers and auctioneers, as well as a few large fleets, to determine average prices, age and mileage. Sales for the month were down from May’s 24,000 — not 31,000 as previously miscalculated. Year-to-date, sales were up 3.7% year-over-year to 139,500. The price for the average Class 8 climbed to $45,153. A year earlier, it was $39,231. Year-to-date, the price was up 6% to $43,082, Tam said. The average truck’s mileage fell to 447,000, down from 454,000 a year earlier. The average age dipped to 6 years, 10 months, down from 7 years in the 2017 period. A recent survey of several Paccar dealers in the United States and Canada found used truck demand was rising compared with the first quarter. “Specifically, 80% of dealers that we spoke with reported that used truck demand in the second quarter had increased at their dealership and 20% of dealers indicated that used truck demand was flat at their dealership compared to 1Q18,” wrote Neil Frohnapple, director of equity research at The Buckingham Research Group, which conducted the survey. When it came to inventory, 80% said it was too low and 20% reported it was ideal. Most of those dealers noted that it has been difficult to find quality late-model over-the-road and vocational trucks, Frohnapple said. Chris Visser, senior analyst for commercial vehicle valuation services at J.D. Power, reported that, year-over-year, late-model trucks sold in the first five months of 2018 brought 5.6% more money than in the same period of 2017. At the same time, dealerships approached typical sales levels in June, Visser said. Class 8 sales per dealership rose to 4.9 trucks per rooftop — lower than the 5 to 5.5 average he had predicted for this point in the year, he said. Visser told TT that he expects market dynamics to be moving toward a greater supply of used trucks. “The new truck backlog is partly due to components shortages at the assembly plants. Manufacturers will eventually work through these shortages and deliver more new trucks. At that point we’ll start to see an incrementally higher number of trades as fleets replace aging equipment with these new deliveries,” Visser said. The extended lead time now for new trucks will help stabilize used truck values and “help lessen the impact of the large number of used trucks entering the market through the rest of the year,” W.M. “Rusty” Rush, chairman and CEO of Rush Enterprises Inc., said in a statement. Its used truck unit sales were up 18% over the second quarter of 2017, Rush reported in its second-quarter earnings release. Rush operates a network of commercial vehicle dealerships in the United States, with more than 100 dealership locations in 21 states, representing International Trucks or Peterbilt Motors Co., plus other medium-duty brands.